During the Summer Term 2013 a Pop-up Meadow will be created as part of the Abundance Arts Education Programme by primary school children from four Taunton Schools working with artist Freya Morgan (www.freyamorgan.com. 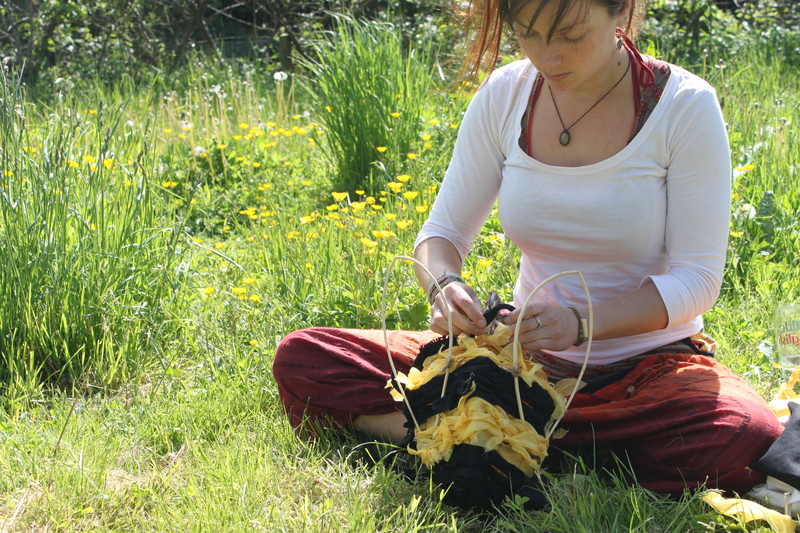 The aim of the project is to connect children and the wider public with the creativity of the cultivation of gardens and art making in Somerset. The project has been devised to develop 2d and 3d visual art skills and as well as learning around themes of cultivation and growing. In preparation for the workshop the children will be spending half a day visiting a local meadow, allotment, garden or wildlife area to discover local flora and who/what plays a role in enabling certain species to flourish. Freya will be encouraging the children to carefully observe individual plants, focussing on seed development and pollination. We also hope to meet people involved in the cultivation of the site we are visiting, to talk about their achievements and ambitions for the area. The children will then work either individually or in small groups to create a chosen pollinator or wildflower sculpture using wire and willow. Each pollinator or wildflower will be attached to the top of a stake. These can then be stuck into the ground, covering a space like a meadow. A showcase of the artworks will be developed and ‘Pop-Up’ in Taunton at various locations over the summer. Limited editions of Freya’s work will be exhibited in Abundance X Exhibition at East Lambrook Manor Gardens.